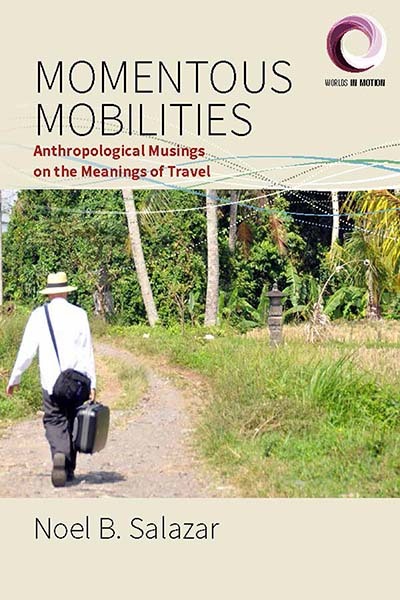 Grounded in scholarly analysis and personal reflection, and drawing on a multi-sited and multi-method research design, Momentous Mobilities disentangles the meanings attached to temporary travels and stays abroad and offers empirical evidence as well as novel theoretical arguments to develop an anthropology of mobility. Both focusing specifically on how various societies and cultures imagine and value boundary-crossing mobilities “elsewhere” and drawing heavily on his own European lifeworld, the author examines momentous travels abroad in the context of education, work, and spiritual quests and the search for a better quality of life. Noel B. Salazar is Research Professor in Anthropology at the University of Leuven. He is the author of Envisioning Eden (Berghahn, 2010) and numerous journal articles, book chapters, and edited volumes on the anthropology of mobility and travel. He is the founder of Cultural Mobilities Research (CuMore) and the EASA Anthropology and Mobility Network (AnthroMob).